This is the real and genuin Norrland flag. It was design already in 1967 by a true, die-hearted patriot (the sun was added some years later to distinguish the flag from similar red-white crossflags). Unfortunately, the possibilities for marketing the flag wasn't as good as they are today and therefore it didn't became as known as it should have been. The colors can be interpreted in many ways. The close connection to Finland (white) and Norway (red). The snow (white) and the midnight sun (red). Our rich natural resources (white) and our struggle to have them used to make Norrland prosper. The cross can also represent the Christian faith and the sun can represent the Sapmi culture. In recent years, there have been other suggestions for Norrland flags. You can see them below. Unfortunately, there are simply too many doubts about their ability to be true, patriotic symbols for Norrland. What Norrland needs is a flag with tradition, clear, bright, striking colors which clearly symbolizes real Norrland patriotism, love for our country and all it stands for, theus becoming a proud symbol for our beautiful Norrland. 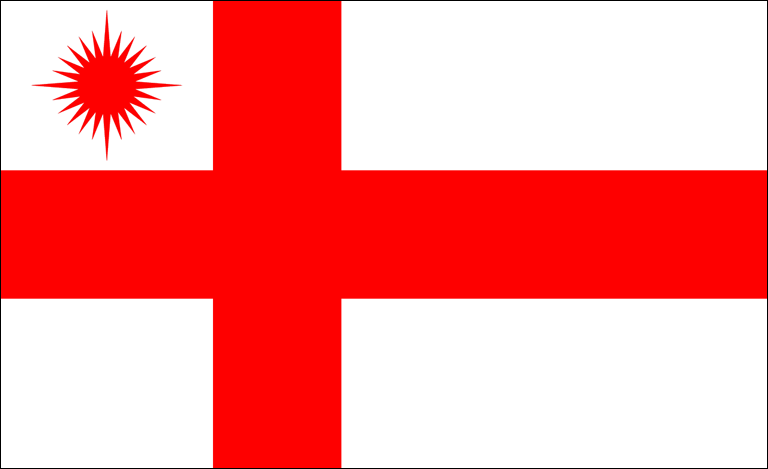 Therefore the white and red cross flag! This flag was created in 1992 after a competition in a weekly magazine printed in Stockholm. It has became rather popular and there are many people who see it as the official Norrland flag. Unfortunately, it's almost similar to the flag which is used by the Swedish Tourist Organization and the way it was created and marketed leave us serious doubts about its usefulness as a patriotic Norrland flag. This flag was created by Norrlandsförbundet in 1972. Unfortunately, it was badly marketed and it's also very similar to the flag of the Swedish island Öland. This flag was created in 1969 or 1970. It never became wide-spread or well-known.